Keep in mind we have two steelhead runs on the Cowlitz River here in Washington, but March and April is go time. The early run is the December fish and the late run, or B run, come in March. It’s arguably the No. 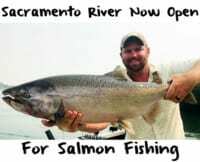 1 river in the entire Northwest for winter run, hatchery steelhead. They put a total of 640,000 winter run smolts in for this year’s return. My guess is it’s going to be an average year. This means we’ll have stellar days with some fairly easy limits. It’s going to be an average year because the 640,000 was split between the December and March fish. Last year the returns were down for these fish and all indications were that this year was going to be about the same. But, remember, an average season here is much better than you’d find many other places. While this year’s run isn’t going to be as good as what we experienced a few years ago when it wasn’t a question of whether we were going to limit, rather how quickly you could limit, I’m still expecting a lot of steelhead to be caught. 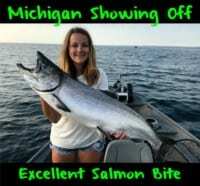 There are 100,000 different theories as to why the run is down, but the latest thought is because they’ve started to release the fish as 6-inch smolts rather than the 9-inch fish we released historically. The expectations are that the smaller fish have higher mortality. Still, the Cowlitz remains one of the best hatchery steelhead fisheries in the region. Usually by the end of the February we’ll have a good indication of what’s coming in March. And, right now we are getting about 3-4 per day. With that said, compared to every other fishery around, we are head and shoulders above it. 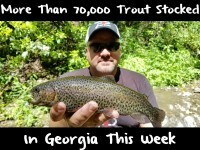 Regardless, it will be hands down the best steelhead fishery in the state by a mile. You should realistically be hooking limits everyday. That being said you might only land one or two, but that’s fishing. Limits are two fish per angler. In the beginning of March it’s a yarn ball show. One of the main things we like to do is soak our yarn balls in Pautzke Nectar. Personally, I mix my Nectar with Liquid Krill. And, keep in mind, yarn is my mainstay, but when we are fishing near the hatchery we do use a lot of eggs. By the third week of March I’ll switch over almost strictly to eggs. I like to run Fire Cure down there because the steelhead like the stuff and the springers, which will starts to trickle in, love the stuff. Red and pink Fire Cure is standard down here. If it’s clearer I’ll run pink. On the other hand, if it’s a little off color I’ll use the red to make it stand out more. However, with my Fire Cure I always sweeten them up by adding sugar. It doesn’t take much. For my eggs I run double No. 4 Beaumac hooks with a size 12 red or pink pearl Corky in between. I use 8-pound test as a leader line and 10-12 pound high vis Izorline mainline for side drifting. As for where we fish, this can change daily depending on water levels. The river is damn controlled. The more water they spill, the higher up in the system (closer to Blue Creek) we’ll fish. If they are releasing less water we’ll move downstream. Literally, the entire river system will produce in mid March, versus just terminal areas in late February and early March. Editor’s Note: As of May of 2013, the Cowlitz became barbless. Todd Daniels operates Tall Tails Guide Service. To learn more about his Cowlitz River steelhead trips please visit http://www.talltailsguideservice.com/.